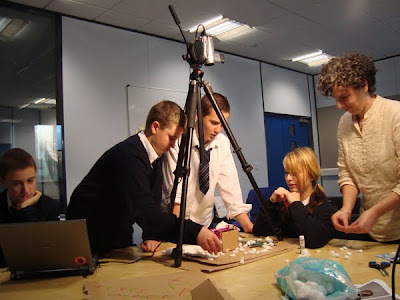 Yesterday I had the honor to work within Liverpool Screen School's teaching team in order to run a stop motion workshop for the students of The Huyton Arts and Sports Centre school. 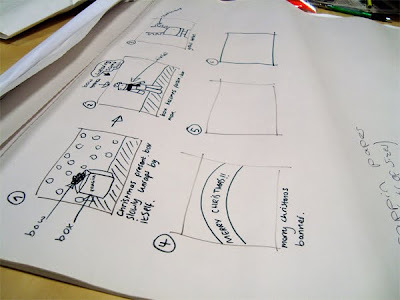 The procedure we followed was to show them some inspiration links, brainstorm with them, and then get them to make their storyboards. It was a great experience observing people that do not have any previous experience with New Media and how easily they can become motivated to start developing ideas. I think I saw the biggest excitement and focus in the team while working on the animation aspect, while moving things around. It allowed them to experiment and get a quick response by watching it every couple of minutes. So after this experience I realised why stop-motion workshops are so fun and successful for new people. It is just that the result is quick, rewarding and impressive. I was very pleased with the final outcome of only few hours fun and effort. I hope that the little artists enjoyed it as well, and good luck in their future! 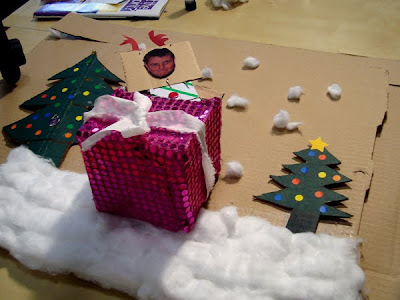 Have a look at my teams' movie Cardboard Xmas, as well as the work of the other teams.